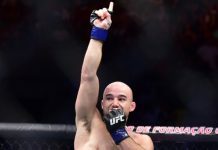 UFC Fort Lauderdale’s featured attraction will see perennial top 185-pound contenders Yoel Romero and Ronaldo ‘Jacare’ Souza square off for the second time. The pair first met in December 2015 when they fought in a very close bout that saw Romero walk away with the split decision nod. Since then, Jacare has gone 4-2 while Romero is 2-2. Both men are Strikeforce veterans that are arguably two of the greatest middleweights to ever compete. With Jacare being 39 and Romero 41, it’s just a testament to their incredible skill sets and longevity in such a taxing sport. However, for the BJJ wizard in Jacare, the Romero rematch could end up being his last fight as he still chases his ever elusive first career UFC title shot. “I am waiting [for] my time, for my chance or if UFC don’t give me the chance, I want to open a Jiu-Jitsu school for me,” Jacare said on Ariel Helwani’s MMA Show. “[I’ll] probably [retire]. I don’t have a problem with my retirement, right now my body is good, everything’s good but I don’t have a problem about this. I retired from Jiu-Jitsu when I was on top. I have to win this fight and I’m waiting for the UFC. “I’m almost 40 but I look 27.” He said with a laugh. 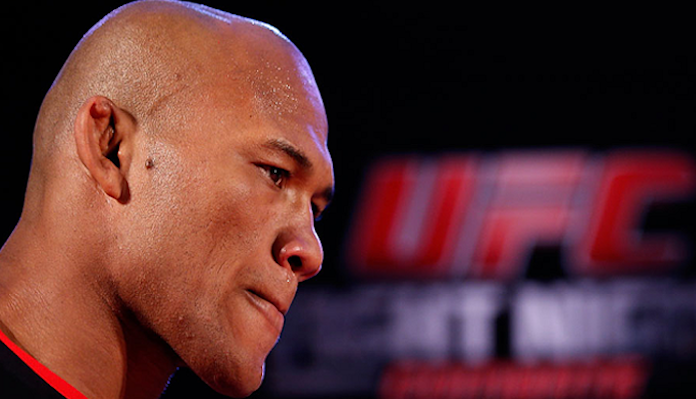 Jacare Souza vs Yoel Romero 2 will be the Brazilian’s 34th professional MMA bout (13th with the UFC). The first fight that took place at UFC 194 was billed as a No. 1 contender fight and now at this point, it’s still reasonable for Jacare to feel like it should be again.